Gymnasts are a special breed; they fly through the air, balance on high beams, and exhibit amazing physical strength. So what better gift for such a unique athlete than their own unique gymnastics ornament! With a spot on every piece for any name to be engraved, these ornaments will definitely stand out on your tree this year. 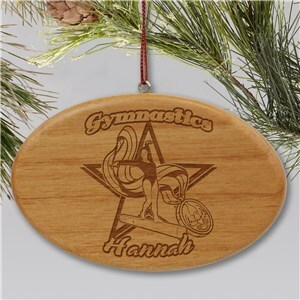 These personalized gymnastics ornaments are sure to be adored by the gymnast in your life.